Small Business Saturday: November 25th - 2017! 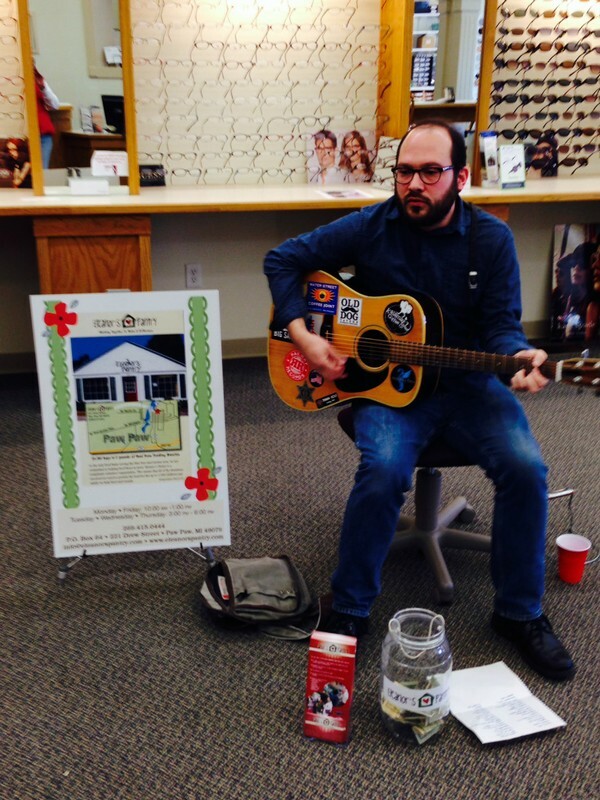 Dave Johnson played for another "Playing for the Pantry " small business Saturday in November. Visiting 10 businesses that day, he raised $1,500 for the pantry! You could say that he is TRULY one of the Pantry's FUNDRAISING STARS! In 2017, Eleanor's Pantry received around $1800 in donations as a result of this event! We are totally blown away by the generosity of so many people! Thank you all for your donations! Thanks to every one of you who came out to see me and made donations! It was sure good to see you all! Thanks to Nellie De Long for sticking it out with me again this year. Nellie made phone calls, sent emails, booked each venue, handed out literature, brought me water, kept me on schedule, and kept me smiling through the whole thing from beginning to end! She's a ninja and a rock star for all of her efforts! I couldn't ask for a better roadie! 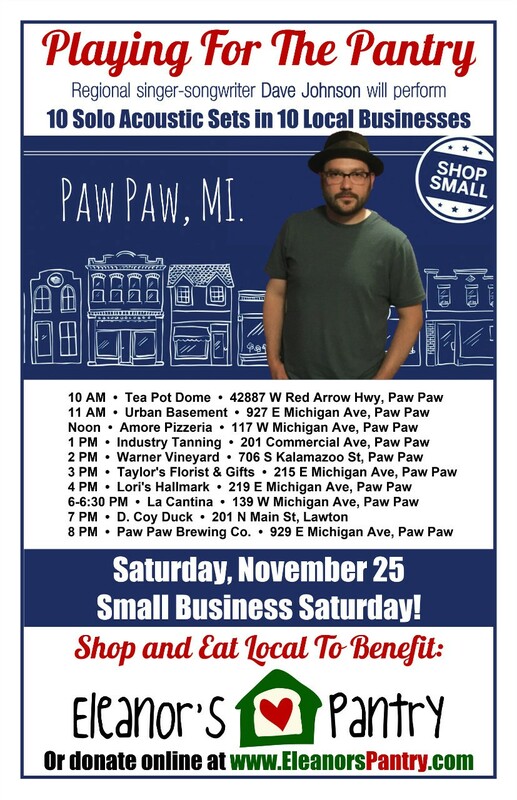 A national movement to encourage folks to shop at locally owned businesses, Dave Johnson is a local musician who for the second year did a cash fund raiser for Eleanors Pantry. This isn't the first year for Dave to sing at 10 different venues in Paw Paw and Lawton. He raised over $600 for us in the past. More than $$, this type of event is important in terms of community outreach and awareness of the pantry. We thank the owners and customers of these businesses for their generosity: St. Julian Winery, Fatcat Books, Grace’s Place, LaCantina, Walgreens, Hiemstra Optical, Amore’, Paw Paw Brewery, Taylor’s Florist, and D. Coy Ducks.